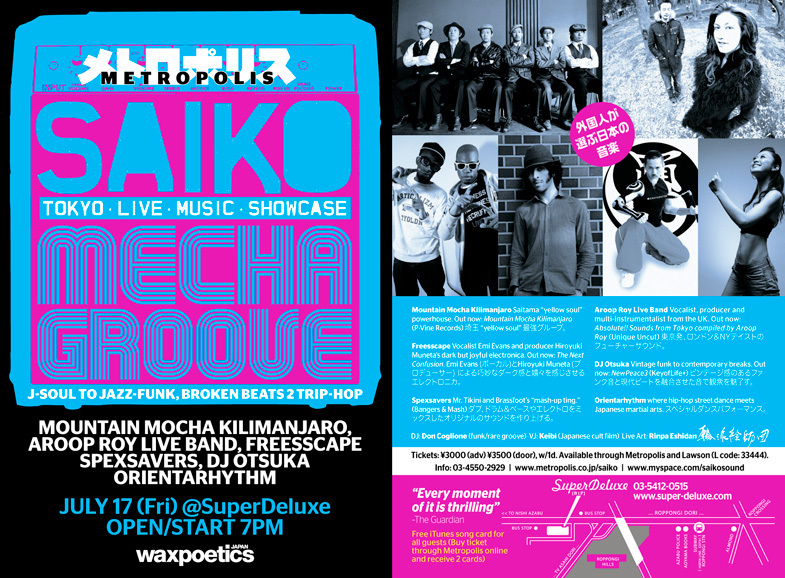 Saiko is a live music showcase in Tokyo launched by Dan Grunebaum, Music Editor of Metropolis magazine, and friends in 2007. 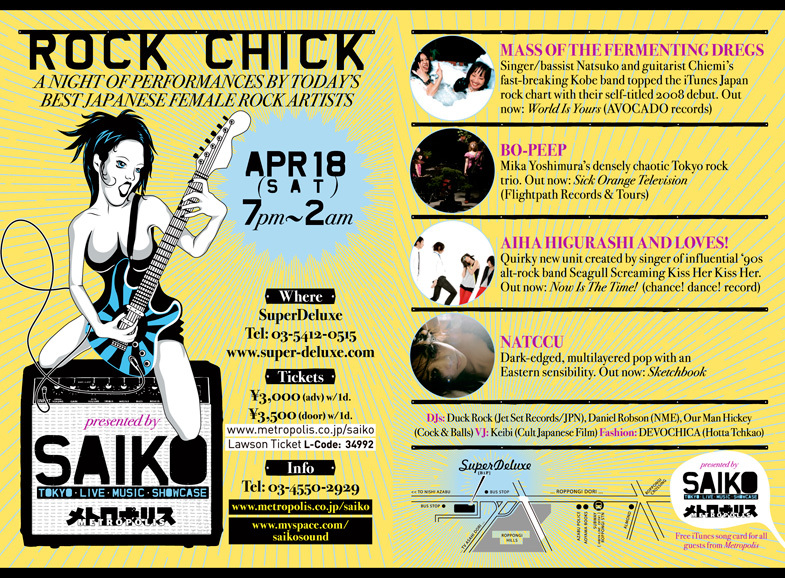 Saiko brings an outsider’s perspective to Japanese music and presents some of the astounding independent acts Dan has come to know in two decades in Japan. 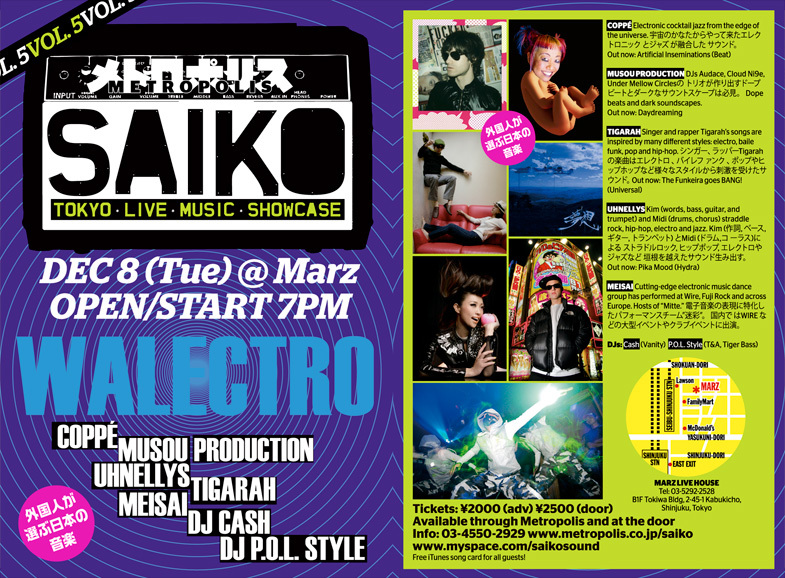 Saiko vol.1, “Best Japanese Albums,” was a DJ night that presented classic Japanese records to an international audience in Roppongi. 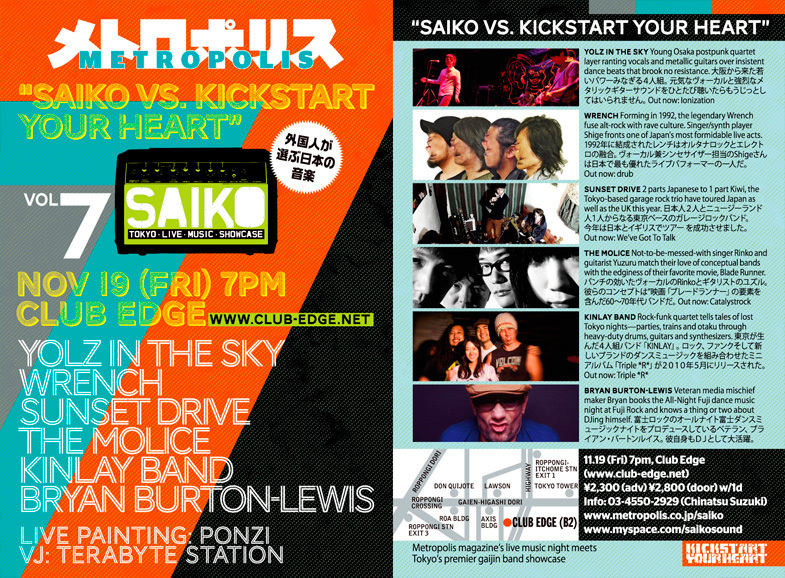 In 2009, Dan teamed up with Metropolis to reboot Saiko as a full-fledged live music showcase. 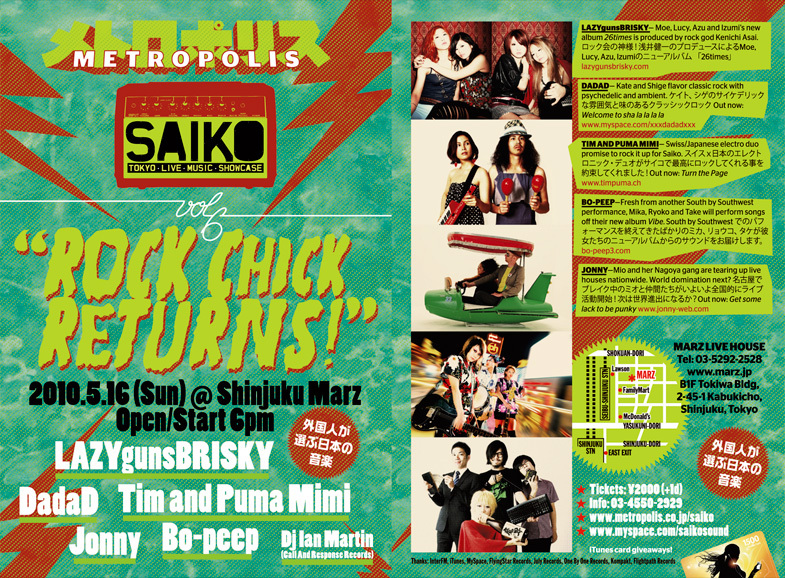 In addition to presenting Japanese music to an international audience, Saiko provides a venue for Japanese bands to reach foreign listeners without having to go overseas.